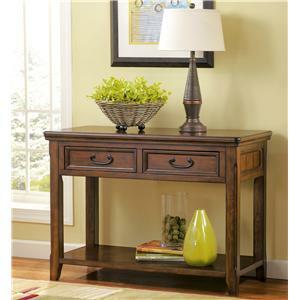 This elegant sofa table will bring luxurious elegance to your living room with fine carving details and a rich mahogany finish. 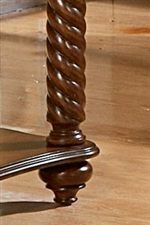 Classic turned legs stand out with height raising spirals that lead into a corner accent carving of traditional wheat sheaf's. 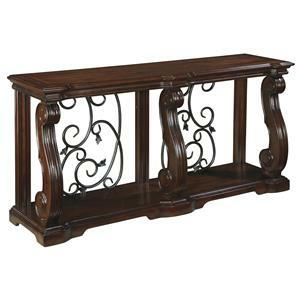 Supreme elegance is created with serpentine lines that grace the entire top case and lower shelf. 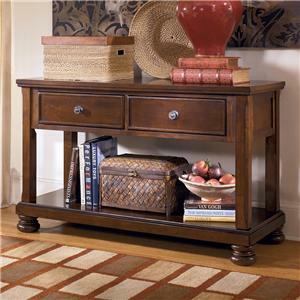 A short grain mahogany border adds additional traditional details while knob drawer pulls complement the entire design. 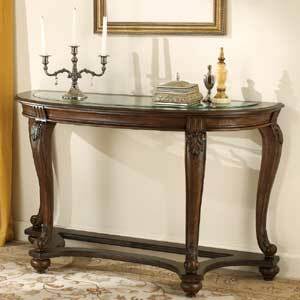 This lovely table will be a perfect addition to your living room, hallway, or dining room. 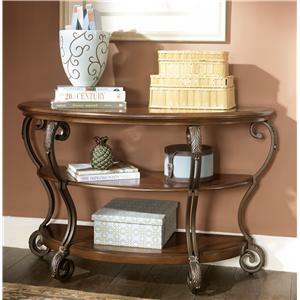 The Trammel Spiral Post Sofa Table with Serpentine Drawers and Shelf by Homelegance at Beck's Furniture in the Sacramento, Rancho Cordova, Roseville, California area. Product availability may vary. Contact us for the most current availability on this product. 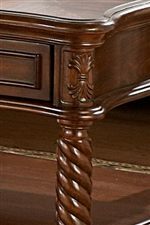 The Trammel collection is a great option if you are looking for Traditional furniture in the Sacramento, Rancho Cordova, Roseville, California area.